Lady Gaga fan on the street in Harajuku wearing a colorful style with blue hair, eyes top, graphic pants, platform shoes, statement necklace, and sackpack bag. 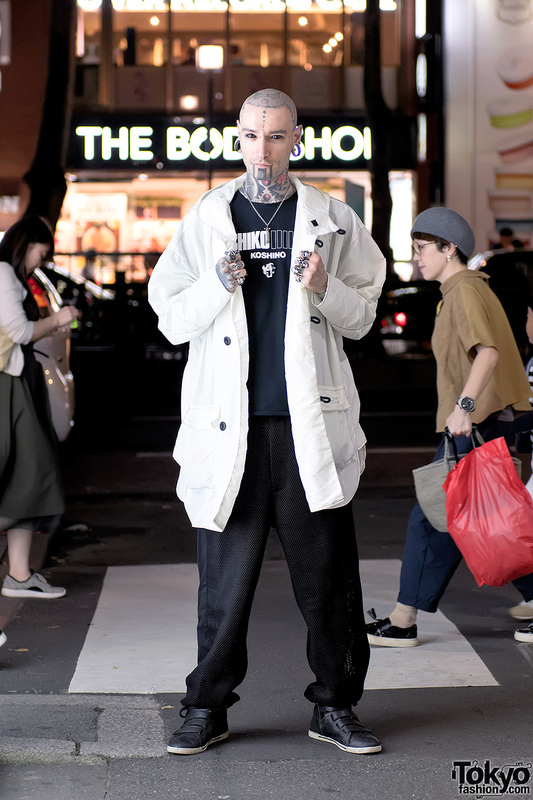 London-based model on the street in Harajuku with extensive tattoos and piercings as well as fashion by the Japanese streetwear designer Michiko Koshino. 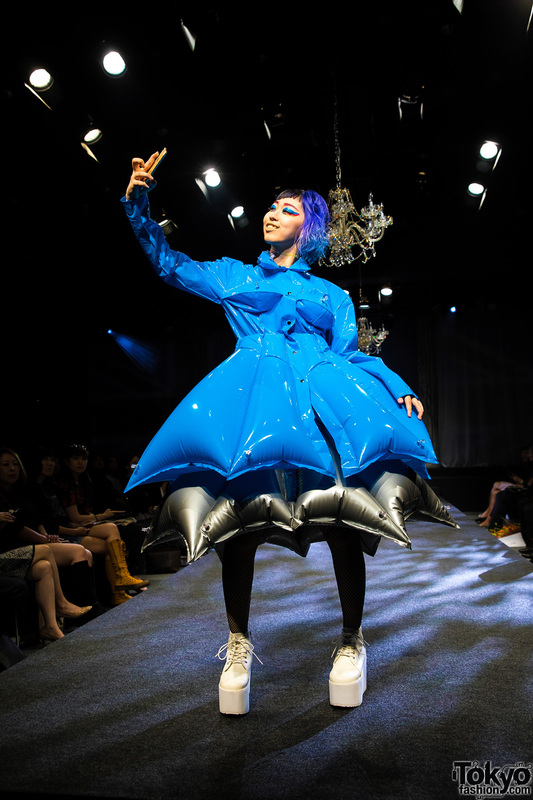 Harajuku girls in dark fashion with jackets over dark tops, ripped jeans, platform Demonia boots, and small backpacks. 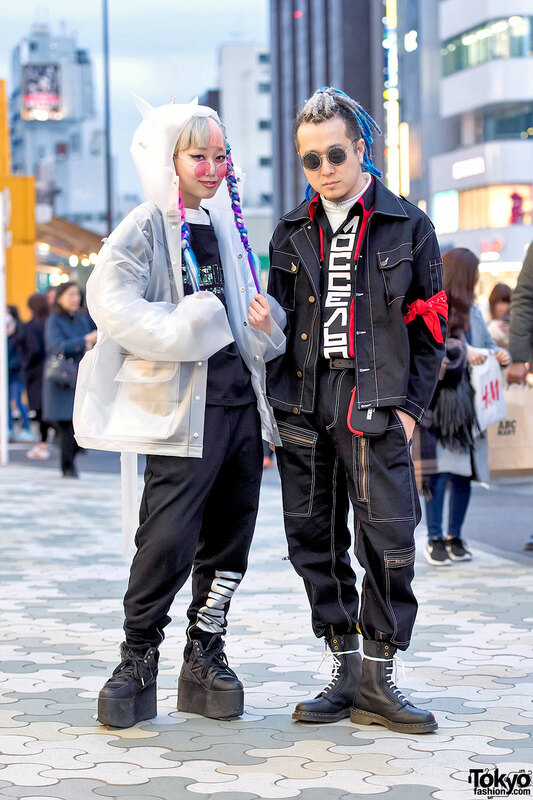 Harajuku girl and Harajuku guy wearing fashion from Michiko London Koshino with shoes by YRU and Yohji Yamamoto.